Facebook is just recovering from the Cambridge Analytica data breach scandal that rocked it this spring, but the social media giant may already have another massive privacy controversy on its hands. 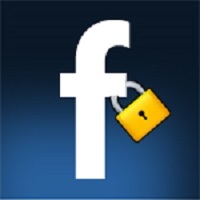 Over the weekend, The New York Times published a report that said Facebook provided “privileged access” to over 60 device makers, like Apple, Samsung and Microsoft, to access user data. For its part, Facebook said that friends’ information was only available when people made a decision to share it. But still, this is not a good look for Facebook, which ended the ability to access data on a user’s friend in 2015. Except, of course, for these huge companies. According to Facebook, these companies are partners and “service providers,” so it does not violate their own privacy rules to give them user info. And Facebook was adamant that there are no signs this access to user data was abused. However, even if all that is true, this story couldn’t have arrived at a worse time for Facebook.